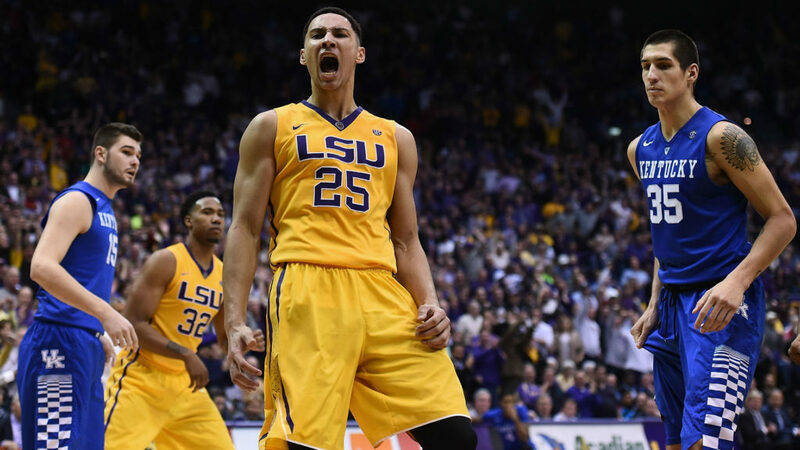 It is very difficult to look past Ben Simmons as the clear cut star of the show. The number 1 overall pick in this year’s draft brings such a unique talent set for potential fantasy owners and I for one am drooling over what he can bring to the table. A potential match up headache for opponents, the Australian can run the floor, has elite passing skills for a man his size and has outstanding instincts in rebounding the basketball on both ends of the floor. His shooting game is a work in progress, and there have been question marks over his work ethic and maturity, but there is no player more unique than the former LSU star and you can sign me up as an instant believer in his abilities. Around fantasy circles, Buddy Hield’s name can be compared to that of Marmite, you either love him or hate him. For me I will be leaving him on draft boards this year, despite landing in what seemed a favorable spot. 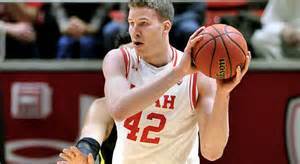 In recent years we have seen some tremendous college scorers struggle in the NBA, and the names that come to mind are Nik Stauskas, Ben McLemore and Jimmer Fredette. It is undeniable that Buddy Hield is likely to get more playing time this year than the majority of his rookie counterparts, and that alone is the reason for the top ten ranking. But with the big step up in defense and physicality in the NBA, as well as Buddy going missing in a few big college games last season, Hield will be a name that will not find a place on a roster of mine this season. It is no secret that that Baldwin landed in a horrid spot when he was drafted 17th overall by the Grizzlies, and it is unlikely that the former Vanderbilt star will make much impact in his rookie season. The good news though is that Baldwin is a player of terrific size and skill. In his time at Vanderbilt, the 6’4 guard showed considerable aggression in his game when attacking the rim, has a big 6’10 wingspan and is an excellent shooter of the ball (Baldwin made 40.6% of 3 pointers attempted in college). Also factor in that Mike Conley has missed 69 regular season games over the past 5 seasons should give Baldwin ample opportunity to showcase his talents in the upcoming seasons. Although playing his basketball overseas for the 2016-17 season, the ‘Dancing Bear’ brings a rare physique for a man of his size and a toughness you can’t teach. With the ability to stretch the floor, the French native has the raw skill set to be able to adapt to the modern NBA with high success, and the Celtics will be hoping that they have hit a long term home run in the 16th overall pick. We have seen similar undersized forwards have great success in the modern NBA, and with increased maturity and more seasoning, the ‘Dancing Bear’ could be a big name to watch for the future. It’s only because Guerschon is playing overseas that I list him so low. 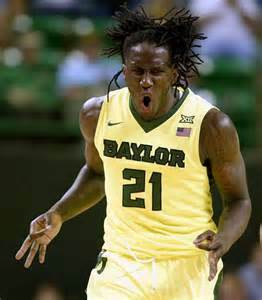 As a Baylor fan, Taurean Prince entered the draft as one of my favorite college players, but even I was surprised to see the Hawks select him 12th overall. Although generally labelled as a 3 & D guy, there is more to the 22 year old’s game than that. Not just an outstanding athlete, Taurean also has a very high basketball IQ and is extremely adaptable, the kind of package that NBA coaches love. With Kyle Korver and Thabo Sefolosha becoming free agents at the end of the season the former Baylor star has a chance to carve out a significant role sooner rather than later. I don’t have much hate towards the Lakers big man, but more an expectancy that I am not willing to reach as high as others to obtain his talents. It is undeniable that the 7’1, 265 lbs big man has some considerable upside on the defensive end, but i have some serious doubts as to whether the offensive game will develop enough to warrant him more than just a 1 category specialist. Ivica Zubac has a history of missing time, most notably in 2014 when he suffered a severe foot injury, and with the physical demands of the NBA and given his size and history injury Zubac will be an avoid for me. If you’re the guy that likes to take a flier on a second round guy in the hope of finding gold, then Deyonta Davis could well be your guy. A gifted 19 year old standing 6’11, 240 lbs and a 7’3 wing span, he still has room to grow and already has the shot blocking ability to be a standout 1 category specialist when playing time allows. Davis has also shown flashes on the offensive end too, and many scouts believe that he could develop good NBA range in time with some upside on both ends of the court. Time is the key factor here as the former Michigan State star is still very raw. But with a good core around him to learn from, we could be looking at a future steal in fantasy dynasty drafts and could rise in dynasty rookie rankings once he takes to the court. Be sure to check out next week’s article, where I will be looking at my 21-40 dynasty rookie rankings. Denzel Valentine will get a lot of PT too when Wade goes down and ends up missing a lot of time. The Bulls medical staff is hilariously incompetent in recent years – ask Luol Deng – so they won’t be able to help him. I like Poeltl a lot, and drafted him in my one long running salary cap league, but I’m not convinced he’s going to see a ton of floor time this year. With Sullinger the Raps have a guy who can both play PF alongside Valanciunas and also back up at C with Patterson at PF. Given Casey’s predilection for not playing rookies and the strength of the program the Raps run with the 905’s Poeltl might spend more time in the D-League than we’d all like. I agree that he’s a safe as houses dynasty pick though, I just think people will have to be patient this year. One thing i am certain of was it was a great decision of Jakob’s to return to college last year. @Craig Bozic: Oh yeah, he made the right call there. I think Poeltl will get minutes backing up C, but I think there’s a good chance it won’t be a regular gig until the second half. That really only affects his ranking for redrafts though. There’s a line of thought that a month or two in the D-League playing starters minutes is more useful for player development than 10mpg backing up C with the big club over the same stretch. You should have included guys like Embiid, Dario Saric, Jauncho Hernengomez. Those guys should be in the mix. Where would you include these guys in your rankings? I would personally have all 3 in the top 10 with a big health asterisk next to Embiid. @Philzilla: I am never gonna believe in Embiid because of the health, Saric would sit at 4 long term me. I myself am European (live in the UK) and watch a ton of euro basketball and although i like the offensive skill set, the defense could cost him PT long term. I like Willy Hernangomez too, but would slot in at 13th for me right behind Luwawu long term, smart player but not very mobile. @Craig Bozic: I’m talking about Juancho Hernengomez, Willy’s bro.